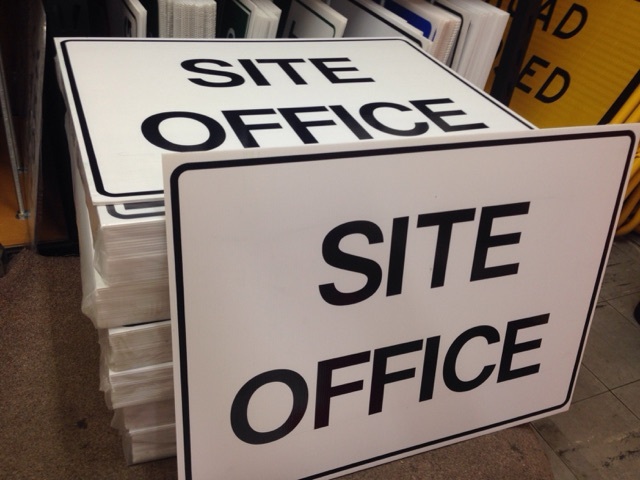 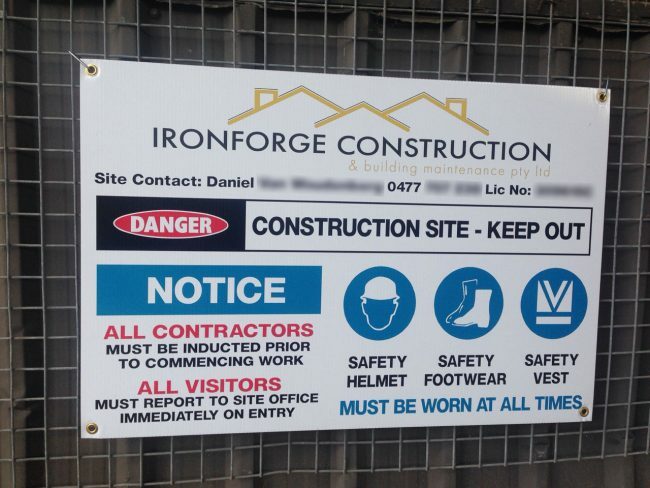 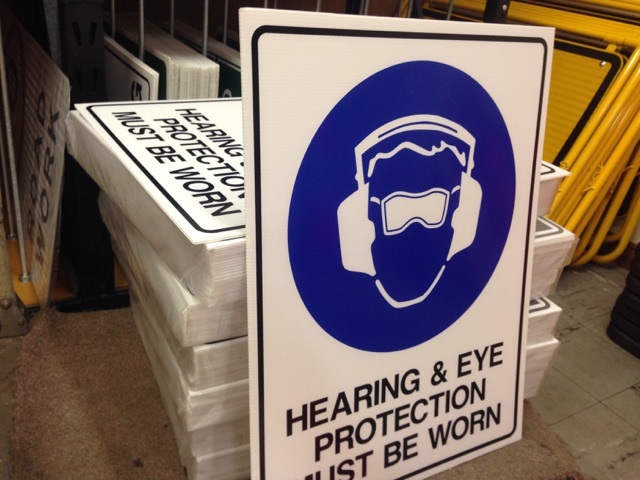 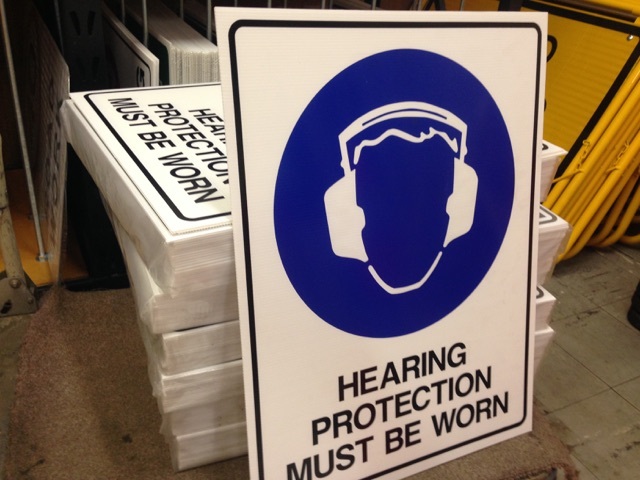 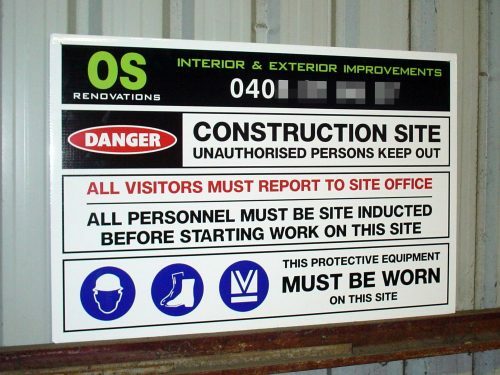 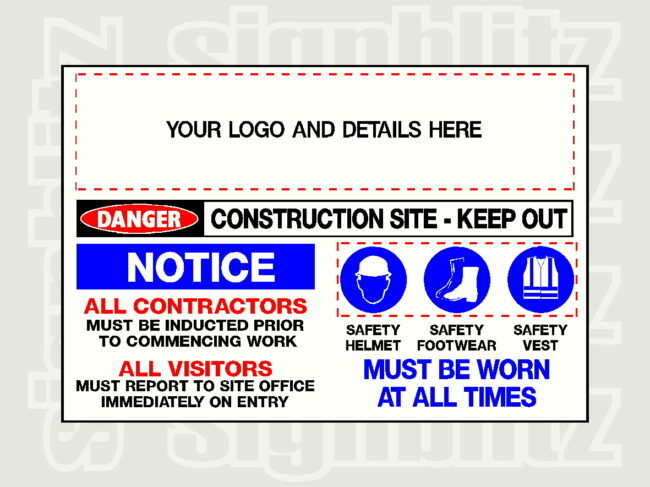 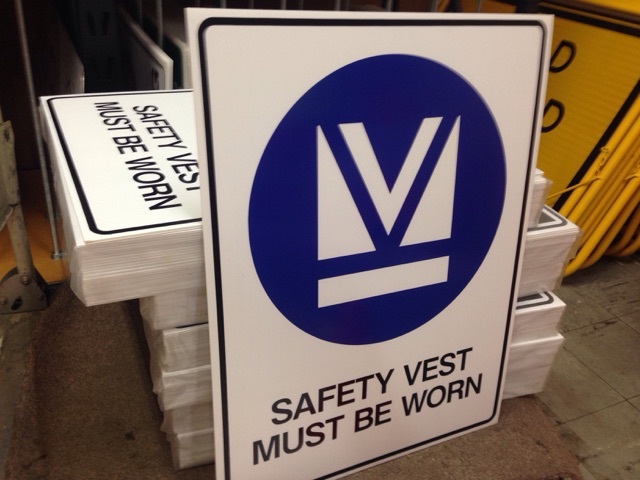 We make a wide range of Multi Message Safety Signs for Building Sites in Australia, from our factory in Sydney. 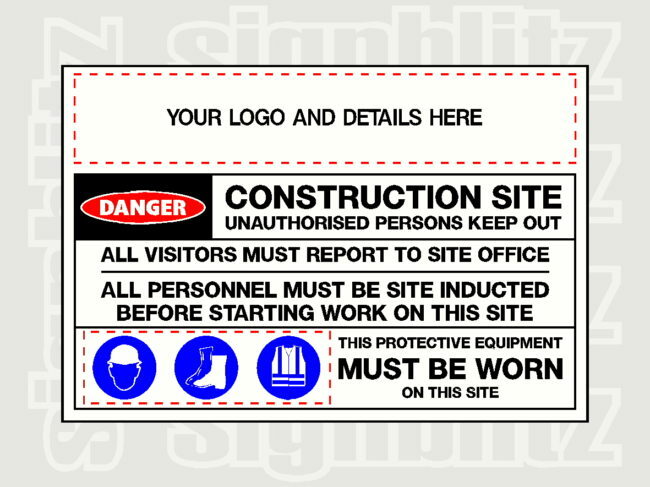 Our Multi Message Safety Signs can be fully customised to feature your company or project logo along with displaying important safety messages whilst workers are working on site. 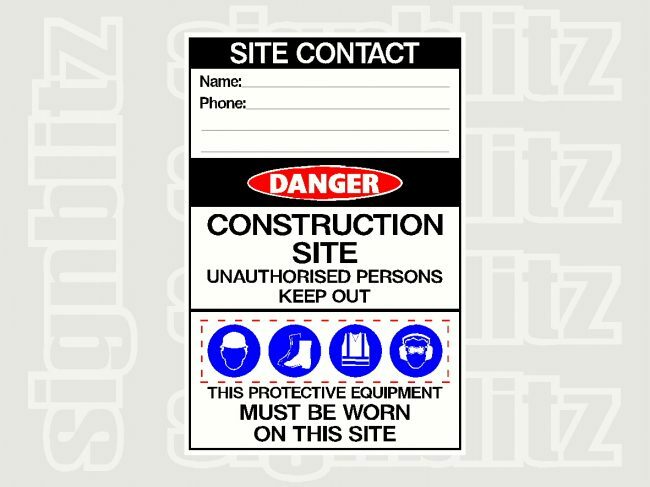 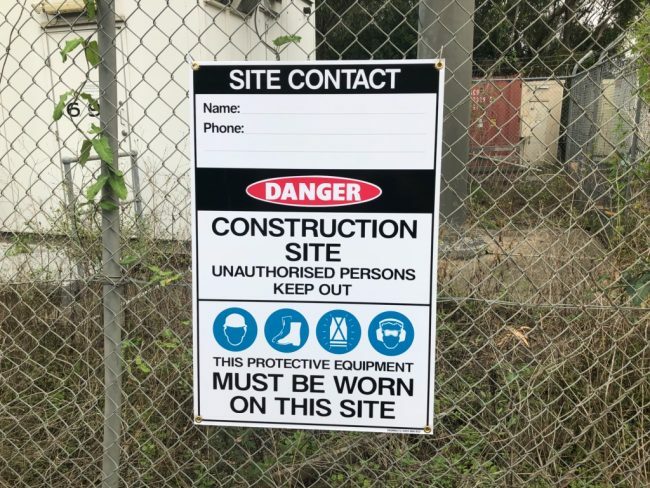 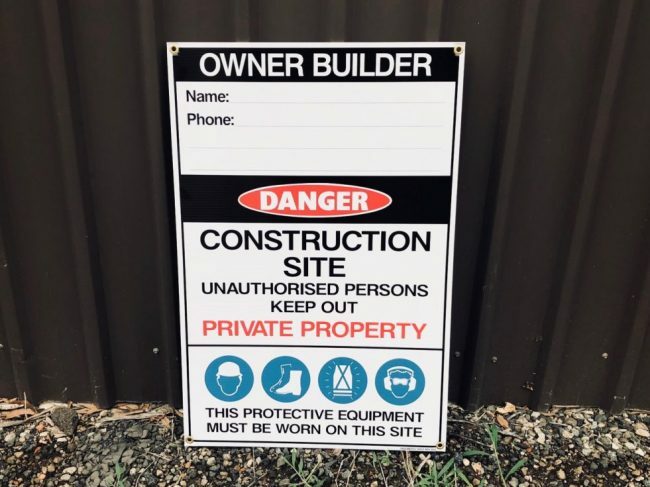 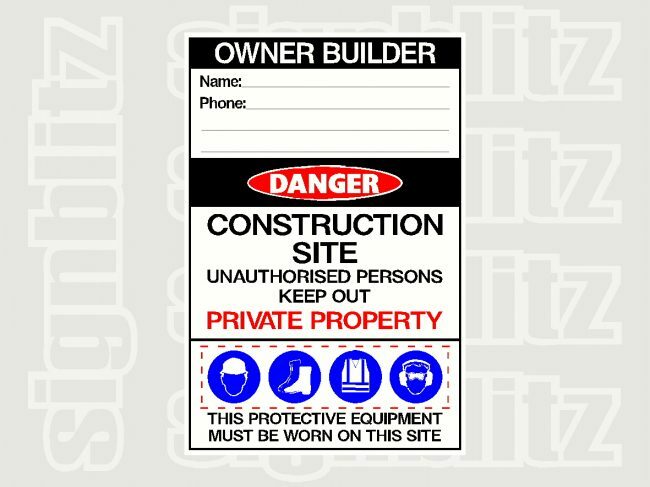 These include Multi Message Safety Signs featuring Danger Signs, Notice Signs, Mandatory Signs, Site Contact information or Owner Builder information.